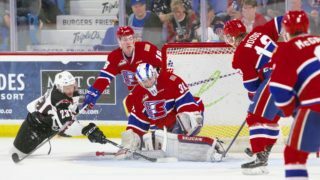 Portland, Ore. — The Spokane Chiefs sputtered out of the gate and couldn’t fully recover, losing on the road to the Portland Winterhawks 8-2 on Saturday night. The Winterhawks opened the scoring with their annual teddy bear toss goal just 2:10 into the first period as Lane Gilliss corralled a loose puck in front of starting goalie Dawson Weatherill and punched it in for his third goal of the season. Portland added on only 1:33 later as Joachim Blichfeld took advantage of a rebound that slipped out of Weatherill’s glove to make it 2-0. Jake Gricius picked up his 13th goal of the season at the 8:37 mark to make it 3-0 in favor of the hosting Winterhawks heading into the first intermission. 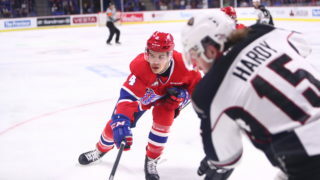 After a Ryan Hughes goal made it 4-0 for Portland, the Chiefs sprung to life as Czech defenseman Filip Kral scored a goal for the second night in a row – his third of the season – on a power play to make it 4-1. 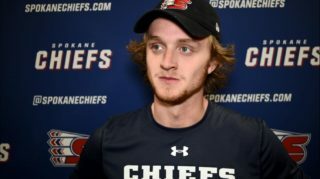 San Jose Sharks prospect Jake McGrew snapped a small personal scoring drought with his seventh goal at 16:11 as the Chiefs cut the Winterhawks lead to 4-2. Portland bounced right back, however scoring twice to end the middle frame with goals from Jaydon Dureau and Seth Jarvis to regain the four-goal lead into the second intermission. They added on with two more goals in the third to reach the final score. Weatherill started in goal for Spokane and made 12 saves on 15 shots in 20 minutes. Bailey Brkin came on in relief and went 24-for-29. Spokane was outshot 44-20 and both teams finished 1-for-2 on the power play. Spokane and Portland are now tied for second place in the U.S. Division with 32 points each. 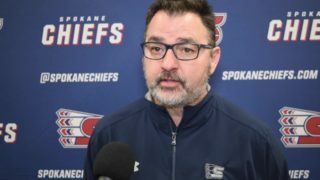 The Chiefs remain on the road Wednesday night to face the Everett Silvertips at 7:05 p.m. Mike Boyle will have the radio call on 1510 KGA beginning with the pre-game show at 6:30. 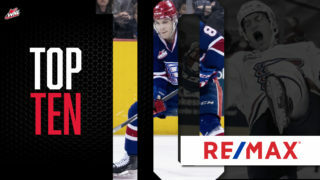 Spokane returns home for back-to-back games on December 7 and 8, including the annual Teddy Bear Toss presented by the Spokesman-Review Christmas Fund on the 8th. Fans are encouraged to bring a new or gently used stuffed animal to the game to throw on the ice after the Chiefs’ first goal. Toys will be gathered and donated to local families in need. 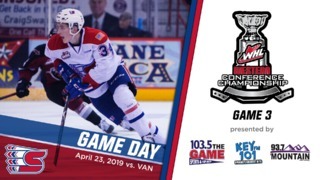 Tickets for all Chiefs home games are available online, over the phone at 509-535-PUCK and at the Chiefs’ Ticket Office at Spokane Arena.